Anne Bishop takes leave of the Black Jewels universe in The Pillars of the World to bring us the world of Tir Alainn and the Fae. The Fae are magical and snobbish people who live apart from the human world in the bountiful land of Tir Alainn. They look down on humans, although Fae men are not above mating with human women occasionally and leaving them with children to look after. However the world of the Fae is slowly falling apart, and no-one knows why. Roads that connect the Fae Clans to the mortal world are disappearing, and nobody knows what becomes of them once this happens. Meanwhile a witch-hunt is taking place led by Master Inquisitor Adolfo, the Witch's Hammer. He is out to eradicate all witches and to suppress women while he is at it. Borrowing from history, he has a scold's bridle in his torture kit and employs a multitude of methods to extract confessions and justify murder. The feminist theme is a strong one, perhaps heavy-handed at times but the male cruelty tends to accentuate the horror and drama of the story. If you enjoyed reading Margaret Atwood's The Handmaid's Tale then you might see certain similarities in this book. Our heroine is Ari, a young witch who lives alone and is shunned and despised by most people in the nearby village of Ridgeley. 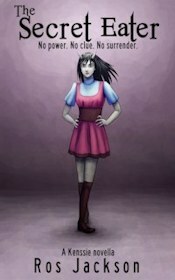 Most of all she fears Royce, the brutal son of Baron Felston. Coming up to the festival of Summer Moon she is cajoled into accepting a magical fancy, but it's a love charm that has a sting in the tail. Ari attracts the attentions of Lucian, a powerful Fae lord. However Neall is also in love with her. He's a human with a talent for selfless acts and unswerving loyalty. As the rest of the Fae learn more about the destruction of their roads and the loss of parts of Tir Alainn, they start to form their own plans for Ari's future. Ari is not powerless, but Adolfo is fast approaching Ridgeley and he and his fellow Inquisitors have dark and insidious magic of their own. It's not just witches and Tir Alainn that are threatened by him, but everyone. 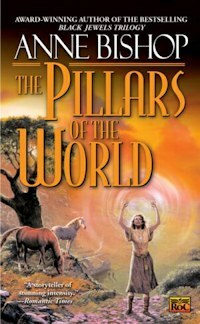 The Pillars of the World is populated with Fae, witches, and the small folk, and it's set in a place where magic is common and balancing the natural order of things is all-important. The feminist and environmental subtexts may be clear, but that's not to say there's anything preachy about this book. It's both vicious and heartwarming, and possesses all the elements that make over 400 pages seem all too brief.